Legendary radio personality Ian O’Malley, appearing on Q104.3 in NYC, Westport resident, Fairfield County real estate agent and all-around wonderful human being, came to us through his wife (as all good things do). 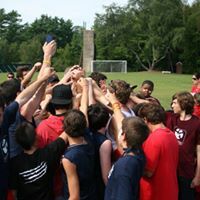 After learning about the impact of Experience Camps, Ian was motivated to donate in a very special way — one that will help more families enduring the unimaginable loss of a parent or child learn that there is help, support, even love; and will allow one very lucky winner to cherish a rare bottle of scotch. If you know of a child who is suffering alone, reach out, and connect them to Experience Camps. 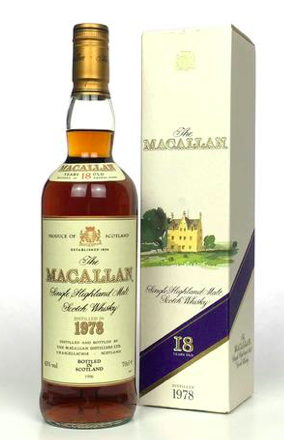 To show your support for grieving children, for every donation of $104 (Ian’s radio station number so easy to know you’re in the whisky raffle), you will be entered to win a rare 1978 bottle of 18-year old Macallan Scotch Whiskey, donated from Ian’s private collection. To learn more about why Ian is doing this, take a look at the video he posted on his Facebook page. The raffle closes at at midnight on Sunday April 14th. Ian will personally announce the winner through Facebook Live on Monday April 15th at 9 p.m. The vintage Macallan 18 Year Old was an annual release that spanned every vintage from 1965 to 1997. The surviving bottles have become true collectors' items, particularly the ones distilled in the 60's and 70's which are very rare to find anywhere, and are valued at nearly $4,000. Ian O’Malley, a resident of Westport, is dedicated to giving back to the community. Many of you may know Ian from his near 30-year NYC career as an on-air rock radio personality, currently on Q104.3 FM. TV viewers, from my former tenure as a VH1 VJ, Co-host of Big Brother (CBS), or numerous acting appearances. Working and loving living in Manhattan for 21 years, in 2010 Ian eventually made the move to beautiful Fairfield County as a full time real estate agent for the Higgins Group. During his down time as a resident of Westport, he enjoys spending time with his family, travel, a wide range of charity work (former LLS National Man of the Year, board of directors Homes with Hope, etc), and happily playing terrible golf.